The East Ayrshire community event was held on Wednesday 27 January in Mauchline community centre. North and South Ayrshire held their community events on Thursday 28 January. These events were open to community groups and were organised to raise the profile and understanding of Participatory Budgeting in the area. The event was also used to inform communities of the proposed pilot events and how communities could get involved in running the events and bidding for money. The event programme included an overview of PB, where it started and how it works within the UK. As this is a new concept in our area, there was a lot of discussion around the event itself and how fairness can be ensured. There were concerns that groups who have large memberships could influence the result of the event. This led to discussion of various voting systems and methods to help address that concern. As a there were 2 young people attending, there was also had a discussion about how young people can be involved and how they felt it might work with and for, young people. 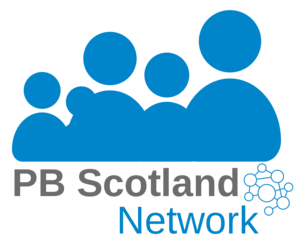 Within East Ayrshire, we are developing Community Led Action Plans, which are totally dependent upon participation of the local communities, identifying the priorities for their area and how they will be addressed. Participatory Budgeting fits really well with Community Led Action Plans and was recognised by some of the participants as another way in which East Ayrshire Council is keen to engage with local people. Across North, South and East Ayrshire staff have been taking place in training, facilitated by PB Partners. Here, 30 staff came together to discuss PB and think about the pilot schemes which will be taking place in their areas. Staff who attended felt it was a good opportunity to talk with colleagues about the design of the process, as well as get information from PB Partners. There was information on the practicalities of setting up these kind of events and a chance to discuss and debate various approaches. Finally, the group discussed how they could take the PB process forward across their respective areas.